With sales of desktops declining and those for tablets and smart phones increasing, Microsoft has shed shackles of being a desktop favoring entity to being a mobile friendly one. So its time to bid adieu to start buttons and instead opt for Start screens on mobiles with their Windows OS. Icons are fading and tiles are gaining. Overall, it is a pretty good picture for Windows mobiles. What this means is that businesses need to grab their share of Windows mobile application development to boost their revenue as users for Windows phones are increasing. Axis Technolabs has the required skill set to help you in development of enterprising apps for the Windows platform. Our team of programmers and app developers is loaded with talent and technical abilities that are at par with international standards. This ensures that the apps we develop for businesses, makes them beat competition by attracting dedicated users. Further, you can also avail of dedicated resources for your projects from us. Why choose Windows OS for app development? 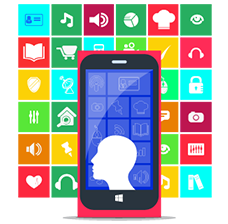 Axis Technolobs has a proven track record of developing mobile apps for every platform with special expertise in Windows mobile app development. Additionally, we have a knack of delivering projects in a timely manner and that too within budgets. Most importantly, our expert team is able to achieve such feats without any compromise on quality of the end product and all this is accomplished at cheap rates. All this leads to a rich app that is sure to grab you a strong user base. So if you intend to stay at the peak of competition with rich Windows mobile apps, connect with us at business@AxisTechnoLabs.com and allow us to help you in this regards.